August 25, 2016: the ABA has announced that, due to reasons of financial sustainability, it will no longer sell or support the My Health Care Wishes app. If you have an iPhone, it’s worth looking at Apple’s free MyDirectives MOBILE App. Go ahead and call me off topic, but if you’re interested in simplifying and living life more intentionally then you’re probably interested in ways to approach the end of your life with intention too. About a decade ago I took a class sponsored by a local hospital on how to complete an advance health care directive, also known as a living will. I was the youngest person in the class by a good 20 years, and was proud to be taking care of something important that many people avoid. But I never did anything with my completed advance directive form, in part because I was supposed to file the document with my health care provider (“my” health care provider?). This image comes from the app listing in iTunes. Downloaded the American Bar Association app My Health Care Wishes Pro onto my smart phone for $3.99. There is a free version of the app, but the Pro version allows you to store a copy of someone else’s directive. If someone needs quick access to my directive, it’s probably going to be in a situation where I can’t log into my phone to show or email them my copy, so my husband and I will each store copies of each other’s directive in addition to our own. Using my computer, went to agingwithdignity.com where I paid $5.00 for an editable copy of the Five Wishes List (check the web site to see if you live in one of eight states that do not recognize Five Wishes as a legal document). This is the same advance directive form I used in the class 10 years ago, and it provides language around end-of-life topics that I couldn’t anticipate or articulate well myself. There’s room for adding text, but you can also complete much of the form by checking boxes. Completed the online form alone at home with no distractions. I’m probably not the only one who would describe thinking in specific terms about the end of my own life as “emotional.” Saved my completed form as a PDF on my computer and then emailed it to myself. At work the next day, printed the PDF and had two coworkers witness my signature. Scanned the signed PDF and emailed it to myself and to the three people I’ve designated as health care proxies. 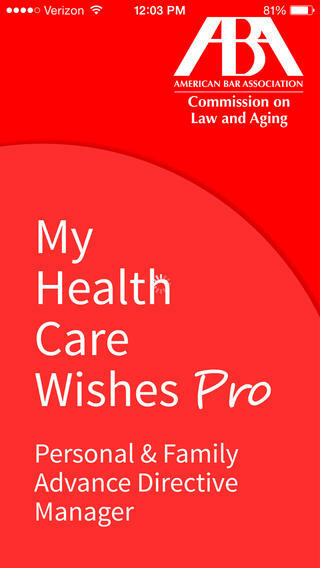 Opened my email on my phone and downloaded the PDF to the My Health Care Wishes app. Updated the Health Care Wishes Overview to include my health care proxies (the app pulled their contact info from my phone contacts). Now I just need to print myself a wallet card. And two times a year I’ll get an automatic reminder to update my directive, if needed. If you subscribed to a blog about celebrities or woodworking and one day a post showed up about death (specifically burial), you might feel a little disappointed. Or weirded out. So I hope you will make the same connection I did between simple living and a new business I read about called Prairie Oaks Memorial Eco Gardens. Prairie Oaks—which is happy to be known as Minnesota’s first “green cemetery” even though I’m pretty sure natural burial is as old as dirt—placed an undeveloped piece of property into a land conservancy so that it can never be used for anything other than a cemetery. On this property Prairie Oaks offers something called natural or woodland burial, which does not involve embalming, a metal casket or cement liner. Instead, the body is wrapped in a shroud or placed in a biodegradable coffin. Graves are marked with a fieldstone bearing the deceased’s name and the family is provided with GPS coordinates. The owner of Prairie Oaks intends to plant wildflowers and indigenous trees as the cemetery fills, aiming for a prairie-like park that would be attractive for picnicking. For those who would like to reside somewhere permanently (but not really), natural burial is a significant improvement over expensive, environmentally-unfriendly casket burials. It’s a simpler way to go. To find out if this kind of burial is available where you live in the U.S., try the search tool at the Green Burial Council. March 28, 2015: there’s an even more environmentally-friendly burial option in development, and the shortest, crudest label for it is “human composting.” You can read about it here and also in the book Stiff: The Curious Lives of Human Cadavers by science writer Mary Roach.